TORONTO, ONTARIO--(Marketwired - Nov. 12, 2015) - NexusCrowd Inc. ("NexusCrowd") today announced the launch of a new real estate redevelopment project on its online investment platform, and has partnered with Downing Street Realty Partners ("Downing Street"), a Toronto-based real estate investment manager and merchant bank. Downing Street is the lead investor for the $12 million project, which includes three industrial properties in the Greater Toronto Area (GTA). The partnership will allow NexusCrowd to post exclusive investment opportunities that Downing Street is leading onto the NexusCrowd platform. 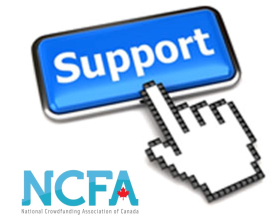 NexusCrowd is the first investment platform in Canada to provide accredited investors with exclusive access to co-invest alongside institutional investors in deals that have reached at least 50% of their funding target. It also provides private equity firms with a "frictionless" way to raise new capital. "We are extremely pleased to welcome Downing Street as a partner," stated Hitesh Rathod, CEO of NexusCrowd. "Downing Street has a long history of successful investment and management in the real estate development and redevelopment sectors. This partnership broadens our ability to offer high-quality investment opportunities to accredited investors with a reputable sponsor." "Partnering with NexusCrowd enables us to efficiently raise additional sources of capital, while leveraging the power of crowdfunding," said Marc Canale, a Partner at Downing Street Realty Partners. "Downing Street has an extensive track-record with redevelopment projects of this nature, and is pleased to partner with NexusCrowd to offer investors this latest opportunity."